EMOTIONAL REACTIONS TOWARDS ART OBJECTS: A BIO-INFORMATIONAL APPROACH. The International Airport Schiphol in the Netherlands is one of the better airports in the world, which is my experience as a traveller. However, the new logo of Schiphol – work of dBOD Amsterdam office in association with the brand management of the airport – was not entertained favourably in the creative world. All good intentions of the people involved in spite. Why the new logo is not so well approved? Could it be the used colours and shape? Let us put the logo through a genetic semantic analysis. Schiphol logo, old and new. We see two main colours used namely blue and white. In our study into universal meaning we have proven that colour combinations are important carriers of emotion, and that the order in which the two colours appear is fundamental. Here is chosen for the blue-on-white order, where the blue type is placed on a white background. Which message does the airport wants to carry out? In the meagre task description which I was able to find in the article “Schiphol van bont naar blauw” (Schiphol from colourful to blue) by Viveka Van De Vliet (AdFormatie 2 – 14 January 2010) an emotional message is nowhere postulated. They talk about the need to improve the Schiphol’s brand position. But what implies that brand exactly? What is the ‘image’ that Schiphol radiates? What is the affective value? That has been apparently overlooked. Industry, all heavy industries, big factories where goods, chemicals or raw materials are produced. Heavy work, hard labour, the blue-on-white combination is often retrieved concerning hard and harsh labour. The mining industry, i.e. exploration of ores, minerals and raw materials. Descend in the pit. The work of miners and gnomes. To lie down, rest, not take part. In publicity for matresses, beach chairs and in holiday imaging. Logo Crédit à l’industrie (Loans for the industry) ex Belgium bank,. Logo The Factory First Baptist Church Willis. The Candle Factory logo by StefanMorgan. Logo for the Ankara Chamber of Industry Turkey. Publication of the Ministry of Economy, Trade and Industry Japan. Blue-on-white combination in the imaging of some interim offices. Be-twin. BIK. “I want, will find, work” public leaflet Belgium. Gregg Interim, “I am at work”. The working man in blue outfit. Blue-white stripes on prison outfits in prisons and work camps. Impression of hard labour camp Köningsgraben during WWII. The shovel as a symbol of that hard labour. The shovel of EDS just digs. A miner and a message from Pitman, Historical coal mining. Agrarian Newspaper online, painting of a farmer and his wife. Zeeman (sailor), logo for a clothing and household shop. Miner. Gitennes Exploration. Mineral Care, draw the minerals from down the hole to the surface. 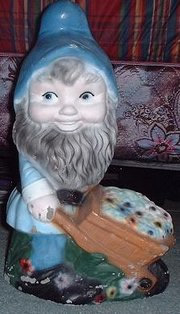 The gnomes who dig up coals, minerals and … plants. “If you compare this with the power of for example the airport of Dubai, Schiphol seems to have a dark vision on the future” says blogger Joris from SubMedia. The miner at work in the pit. Romans going down the hole. To retrieve in publicity for mattresses. logo’s for mattresses: Aerosleep, Relyon, Beka. “I don’t want to go to bed”, bookcover. Silentnight Beds. Cartoon. The body bearing is lying down. Blue-white stripes on pyamas and matresses. “Afraid to get hooked on barbiturates?” Preventive Association Belgium. Lying down and not able to move. Holiday leaflet “The blue trunk for a carefree holiday”. Secret Ravine Estates: holiday resort logo. In holiday imaging: the hammock, the beach chair. There can be no discussion concerning the colour combination. Blue is placed here explicitly above white. That is confirmed by the light grey shape on the background. The light grey colour is experienced as white and the used shapes, the little cubes, have semantically the same emotional value as the white colour has (concerning the shape, the stripes and the type, more in next blog). In the article from AdFormatie is only spoken of the blue colour, but that is exactly the mistake one makes, namely not realizing that you are working with colour combinations. A more correct title for the article should have been: “Schiphol from red-on-blue to blue-on-white”. There is little to defend the blue-on-white combination in relation to airport services. Schiphol produces no goods or raw materials and is as such not an ‘industry’. The feeling of hard or heavy labour should not be aroused within an airport context, to my opninion. Neither have mattresses and beach chairs something in common with airports. The nearest use of that image is in the world of travel agencies. This new logo in blue-on-white is a perfect example of a missed message. The keyword ‘airport’ is not supported by the used colour combination, thus placing the observer, the receiver of the message, in a state of confusion. I understand that ‘our’ Schiphol logo does not come favoureably out of the analysis. In all honesty, I find that this conclusion came too easy. If you consider the Schiphol logo purely on its visual qualities I can follow you (but I do not agree). But to my taste you walk too rapidly over the symbolic value and the history of this picture mark. As you can see, the new logo has a strong affinity with the old. All components are still there but arranged and coloured differently. We consider this as an evolutionary step. In our vision it is very important with visual identities to make use of the visual heritage of a brand. Just creating “something new” will make the current consumer even more confused. The consumer searches today, in the actual picture storm, especially for secure beacons to hang on to. That can be brand identities. Recognition and grip. Certainty. Sometimes designers are a danger because they want to create always something new. They consider it more as personal creative expression in stead of a good well-considered story for the brand itself and its consumer. I have indeed no sufficient information concerning the symbolic value and the history of the brand Schiphol. And I can follow you somehow if you state that it is not good to change a logo each time again. But then my question is why did you change the colours? My analysis concerns here only the colours such as they occur, the combination blue-on-white which you have used, compared to the results of our research and in relation to the term ‘airport’. Aspects which you quote such as the visual heritage, play of course a role, but colour and shape in itself are very important. For example for new users who do not know nothing of the history of the brand imaging.